Prime Minister of St. Kitts and Nevis, Timothy Harris has explained his presence on stage at the Unity Labour Party’s (ULP) rally last Thursday in Kingstown to celebrate 18 years in office. Harris’ explanation came amidst allegations that he was ungrateful for the support the opposition New Democratic Party (NDP) in St. Vincent and the Grenadines showed him and his Team Unity coalition in 2014 amidst their failure to have a motion of no confidence in the then Denzil Douglas government debated in Basseterre. In 2014, then leader of the opposition in Kingstown, Arnhim Eustace, hosted Harris and other members of his team, and called our his supporters to protest in Buccament, where CARICOM leaders were meeting. Harris’ Team Unity went on to win the general elections in Basseterre in 2015, and he invited Eustace to attend his inauguration as a special guest. 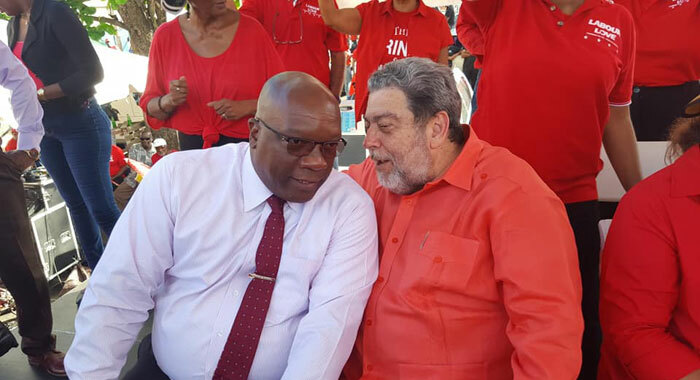 In an interview with Jerry S. George last Saturday, Harris said that he was in SVG for a meeting of the Regional Security System and went to the rally at Heritage Square “simply because I needed to have an audience” with the prime minister Ralph Gonsalves, who is also political leader of the ULP. “The prime minister, at the moment in time, I was advised, was at a particular location,” Harris said. Harris said that it was not the first time that he had gone to a political rally to speak with another CARICOM prime minster. He said he was in Grenada during the last election and mounted the platform “said my hello and greetings to a colleague, Prime Minister Keith Mitchell, and then exited the stage, just as I did because I was not there either to promote one side or to diminish the other. He said that also in Grenada, he visited the launch of the opposition party, “said my hellos to Nazim Burke because we know each other. “We are humans, we relate, and then he had invited me to become involved, I said no, I am not here for that,” Harris said. He said that there is an interest if one is involved in politics to see how things are done elsewhere. “I looked at the launch in Grenada, learned one or two things that we would have done differently, looked at what Nazim was doing and so on and so on. Some supporters of the NDP took to social media and lambasted Harris, calling him ungrateful because of his presence on the platform at the ULP rally. 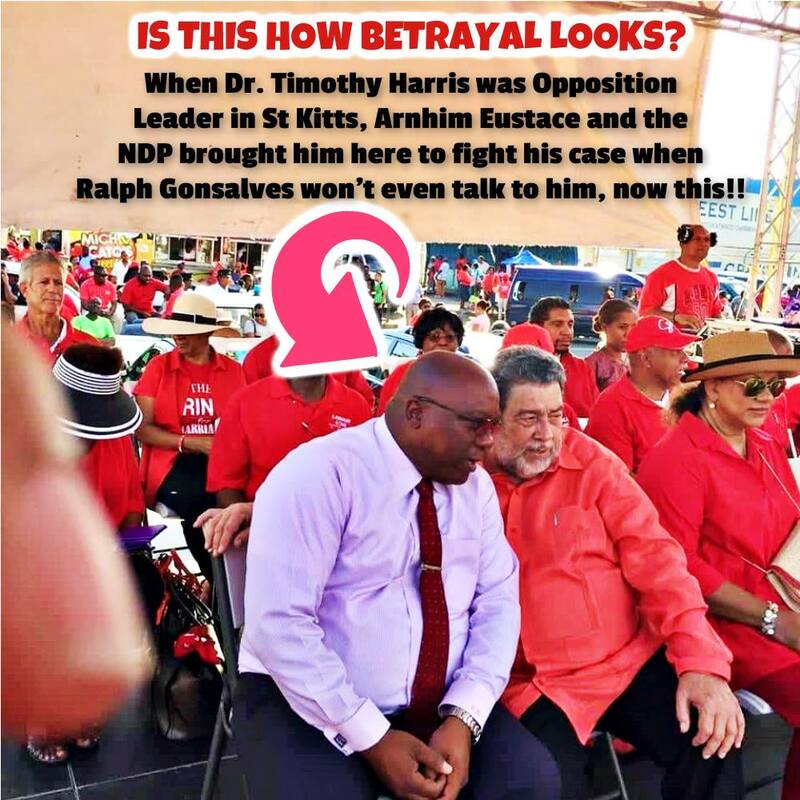 Meanwhile, George, published the following post on Facebook, asking if the photo of Harris and Gonsalves in conversation was “what betrayal looks like”. However, in his interview with George, Harris said that having had such an experience in SVG, he would think more carefully in the future about such an exposure. He said that part of learning is to basically unlearn things. He said that one would have to accept on merit that the prime minister needed to have a word and, at the moment, that was the best time he could have a conversation with his prime ministerial colleague ahead of a meeting that was taking place only hours thereafter. Harris said that because of Gonsalves’ own engagement at the political rally, he would not have been able to provide the time for the meeting. He said that chairman offered him the opportunity to speak at the rally. If the particular locale was a ‘…Rest Room,’ would he have visited him there simply to hold a ‘…Ministerial conversation? At a Rest Room, it might be easy to infer what may have been conversed; nothing but …? Who is he trying to fool? I totally agree with you Mr. Pompey. Its becoming quite a norm now throughout the Caribbean for Heads of Governments to “show up” in support of their colleagues at political meetings and party conferences. Prime Ministers usually extend an invitation to outside leaders to help to sure them up in an effort to galvanize support at home. Leaders of other countries would do well to keep out of other countries internal politics and mind their own business at home. Sorry the explanation stinks, such a meeting would never take place at a rally there are other places to meet. Harris was there to give comfort to Gonsalves. It is true that Ralph Gonsalves gave his full support to the “other guy” during the St. Kitts Election. One of the positive things to come out of that is that Ralph Gonsalves really learned, even at his age, not to interfere in others elections because he lost BIG on that one and was made to look bad because he did not support the will of the people. 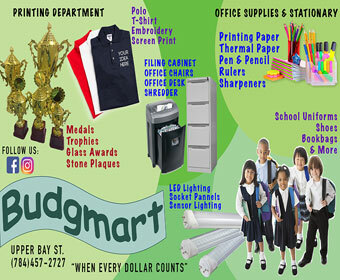 It is all different here in SVG. We have so very many people that cannot think for themselves and worship the ground he walks on and will support anything he tells them to. Of course that is very sad for our country and explains why we are in such a bad place. A real education revolution would teach the Vincentian People to think for themselves instead blindly following con-artist politicians that are essentially in office just to serve themselves but give the perception that they “love the people”. We all hope and pray that one day the Vincentian People will wake-up and stop voting for poverty and hatred.